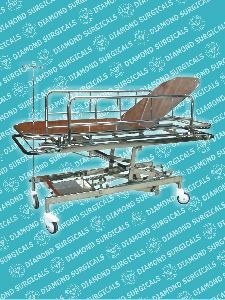 Frame size: : 210 x 68 cm x 65/80 cm. 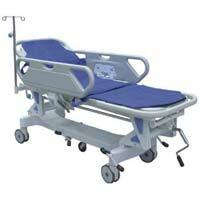 Sizes : 210L x cms Height 65 to 95 cms. 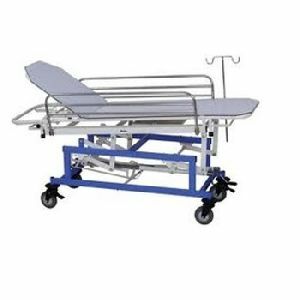 emergency recovery trolley height adjustable by hydraulic pump.four swivel castor of 5" dia two with brakes.epoxy powder coated. . 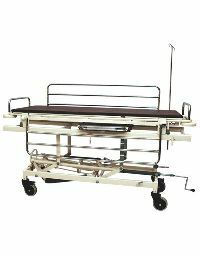 Complete with corner buffers, synthetic rubber covered handles, sliding X-ray cassette, accessories tray, oxygen cylinder holder, SS telescopic IV rod and swing away SS side rails, Gas spring assisted TrendelenburgReverse Trendelenburg positions. 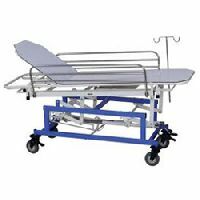 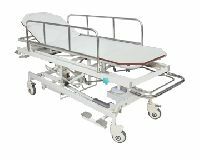 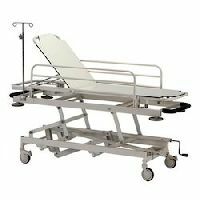 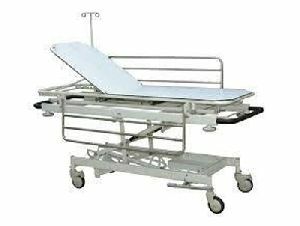 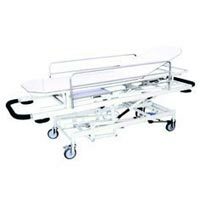 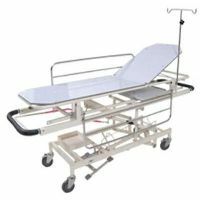 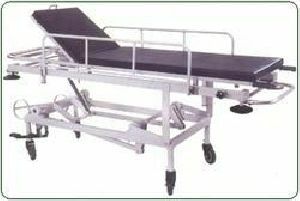 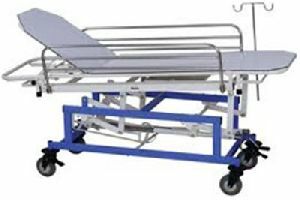 We “Lotus Biomed” are one of renowned manufacturers of hospital furniture and all related good offering a broad range of Patient Recovery Trolley. 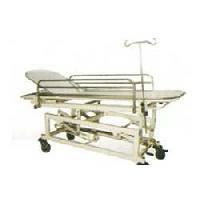 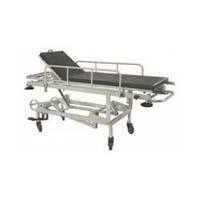 Jindal Medical & Scientific Instrument..
Offering emergency recovery trolley. 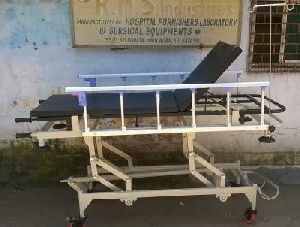 -abs head & foot boards can be removed. 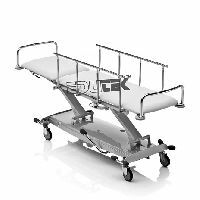 - steel side rail, foldable type with safe lock. 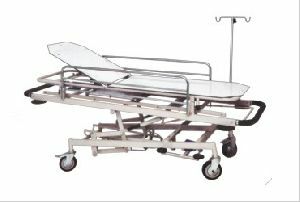 - bed sheet top made from perforated steel, epoxy powder coated and baked finish. - noiseless castors dia125mm. 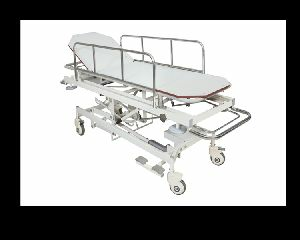 - dimension: 2080*980*500-750mm. 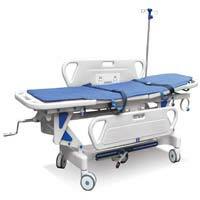 - single function adjusted by hand crank. 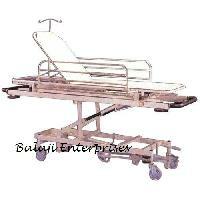 - height adjustable: 500-750mm. 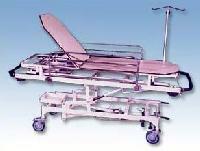 - with telescopic ss iv pole and previsions. 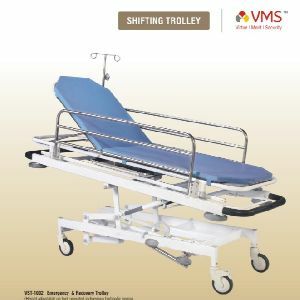 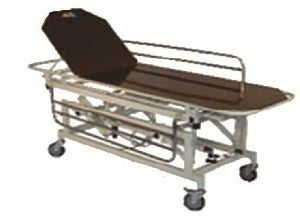 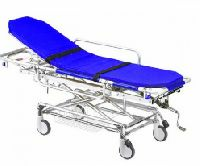 Eiesys Technologies And Life Care..
Recovery trolley, Height adjustable by screw mechanism, Trendelenburg and Reverse, X-Ray permissible removable stretcher with built-in back rest, Swing away S.S side rails. 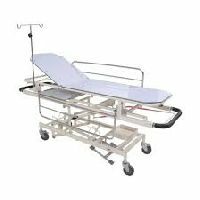 Balaji Enterprises is a manufacturer and suppliers of a wide range of high quality medical, surgical and hospital products. 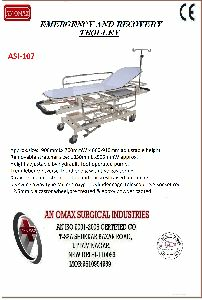 Our products are ISO 9001 and CE certified . 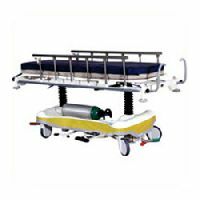 Here is our product list: 9061 Emergency And Recovery Trolley Best suitable for emergency & Accidental Examination facilitate for resuscitation and radiography and shifting of patient.